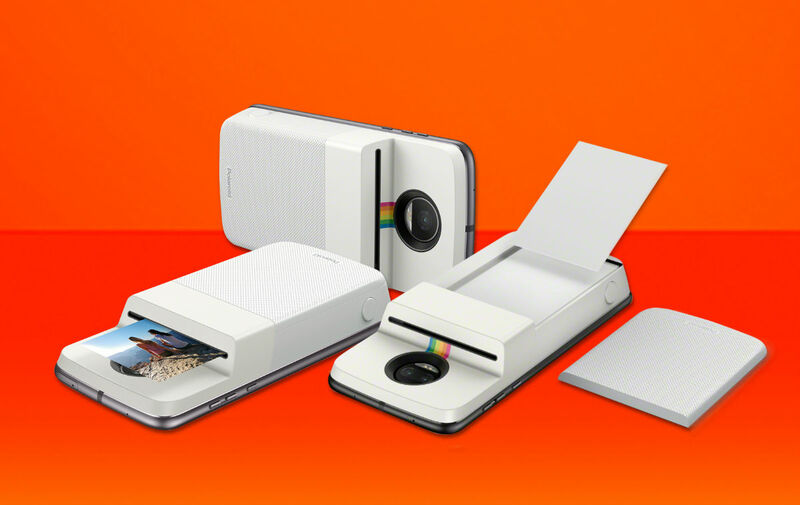 Introduced this morning, the Insta-Share Printer from Polaroid may be one of the cooler Moto Mods we’ve seen to date. With it, you snap a photo on your Motorola device, then simply print it out and hand it over to whoever you want. Using ZINK Zero-Ink paper, you can print 2×3” smudge-proof photos, complete with adhesive backsides for sticking on surfaces. You’re not limited to printing photos straight from your camera app either. Users can print photos from Facebook, Instagram, as well as Google Photos. The Insta-Share Printer will be available for $199.99 in the US at Verizon and Motorola.com beginning November 17, and will be available for pre-order at Best Buy, B&H, Fry’s and Newegg on December 6, with general availability starting December 13. As for paper refills, we have reached out to Motorola to see how much those will cost, as it’s information not covered in the press release. If you still value physical photos, this could be a solid little pickup for your Moto Mod-compatible phone.